Bitcoin and Cryptocurrencies - Great Opportunity or Risky Business? Bitcoin and Cryptocurrencies – Great Opportunity or Risky Business? Chances are that you have heard the terms “Bitcoin,” “Ethereum,” “virtual tokens,” or “cryptocurrency” at some point within the last couple of years. Someone has probably even told you to invest in them. Or maybe you’re an entrepreneur that wants to jump on this new wave of alternative capital raising for your venture. But first, what are they? 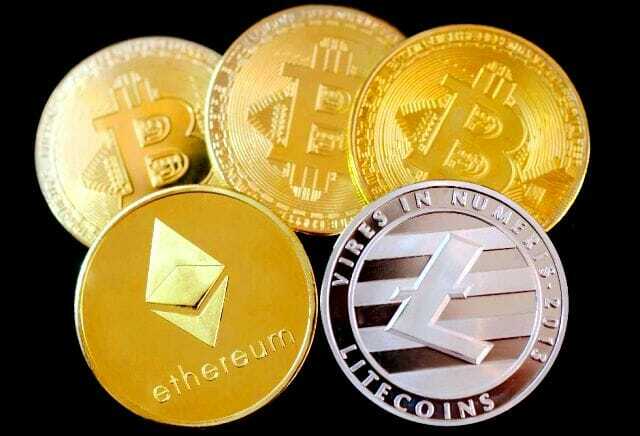 Cryptocurrency is a form of digital currency that essentially removes the middle-man—banks and the government—from currency transactions. This new form of “money” boasts its unique level of security, drawing on the cryptography element of this trend. Cryptography is the process of turning basic information into a complex code, making the information hard to access, steal, or alter. These codes, or algorithms, are used to create and control cryptocurrencies and their transactions. Through a system called “blockchain”, users are able to use these complex algorithms to keep records of balances and transactions and publicly verify their exchange of cryptocurrency. Unlike conventional forms of currency, cryptocurrency exists in limited circulation, making it more valuable. As opposed to working on an inflationary model, crypto coins are deflationary, meaning that the number of coins in circulation will remain the same, but the value of the coins increases. Though cryptocurrency has not reached a point of payment ubiquity, it has a high investment appeal, which you should approach with caution. Why is Cryptocurrency Becoming Popular? The ability to make transfers without an intermediary and without geographic limitation. Lower transaction costs compared to other forms of payment. The ability to publicly verify transactions. Personal anonymity and the absence of government regulation or oversight. The benefits make it seem way too hard to pass up whether you want to invest or offer Initial Coin Offering (ICO). But, not so fast. The government is keeping a close eye on these transactions because they have been used to take advantage of many and are risky. Minimized investor protections in the cryptocurrency and ICO markets, which can lead to more opportunity for fraud and manipulation. Unregistered ICOs may violate federal securities laws. The SEC has yet to approve listing and trading any exchange-traded products that hold cryptocurrencies or other assets related to cryptocurrencies. Amplified risk due to the cross-border nature of the cryptocurrency and ICO markets. Because most offers and sales of digital assets are subject to the requirements of the federal securities laws, issuers must register offers and sales of digital assets unless a valid exemption applies. If the offerings are unregistered, issuers could potentially be liable for violations of the securities laws. If you want to raise capital or invest in coins or cryptocurrency offerings, make sure you obtain the proper information and legal guidance from a corporate lawyer experienced in startups, blockchain law and federal securities laws. Securities exchanges that provide for trading in these securities must also register unless they are exempt. The facts and circumstances of each case, including the economic realities of the transaction, will be considered to determine whether a particular transaction involves the offer or sale of a security. The ease, independence, and anonymity of cryptocurrencies and ICOs clearly come with strings attached. The many legal and regulatory hurdles and requirements are not easy to navigate, and failure to appreciate them can jeopardize your investment in this innovative market. Before investing in virtual assets and becoming a market participant, be sure to consult a lawyer with corporate experience to advise you on protecting your investment and ensuring it conforms with securities laws. Contact Padua Law Firm today at 713-840-1411.